Forensic psychologist Paula Maguire thought that she’d left Northern Ireland for good. But after helping solve a case in her native Ballyterrin she finds herself still attached to a specialist missing persons unit, living at home with her father, pregnant but unsure who the father is, and still wondering what happened to her mother who disappeared in 1993. She has limited time to dwell on her own problems, however, as a new born baby has been snatched from the maternity ward of the local hospital and the doctor running a local women’s centre that provides advice to those considering travel to Britain for an abortion has disappeared. As the team search for the pair, and battle with a local police station for control of the investigation, another baby goes missing, followed by a pregnant woman. With the pressure mounting to solve the cases Paula becomes emotionally invested in the investigation and inevitably ends up doing more than producing a profile of the abductor. 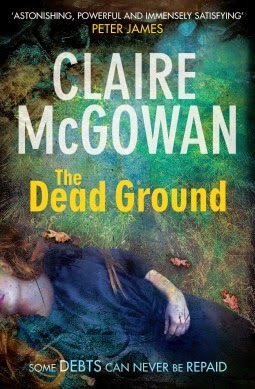 The Dead Ground is the second book in the Paula Maguire series set in the small, fictional border town of Ballyterrin, which in my head at least is Newry. The storytelling is much more assured than the previous outing and less melodramatic, though it has plenty of drama. Along with a compelling main plotline, McGowan interweaves a handful of interesting subplots that add to, rather than detract from, the story. 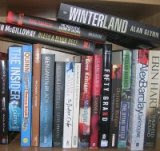 I was hooked from the start, the book quickly becoming a page turner, given the succession of abductions and the rising tension. In this sense the plot worked well, although as the story progressed the mystery element receded as the identity of the perpetrator and the inevitable ending became obvious though no less tense. Paula Maguire is a strong, complex, conflicted and engaging lead character, and McGowan surrounds her with an interesting mix of characters with different backgrounds and viewpoints. The result is a swirl of alliances and rivalries depicted through some nice interpersonal exchanges. Indeed, I imagine most readers will want to read the next book in the series as much to keep up with Paula’s soap opera personal life as to see how she solves the next crime. There’s also a strong sense of place and history, with the Troubles still casting a shadow over the Irish borderlands. Overall, an engaging, page turner, with an interesting lead character and subplots.